If you like writing short stories for children you’ll know they are hard to place, so I was chuffed to see in this month’s Writers’ News that the online magazine Knowonder! publishes a new story every day and is open to submissions. 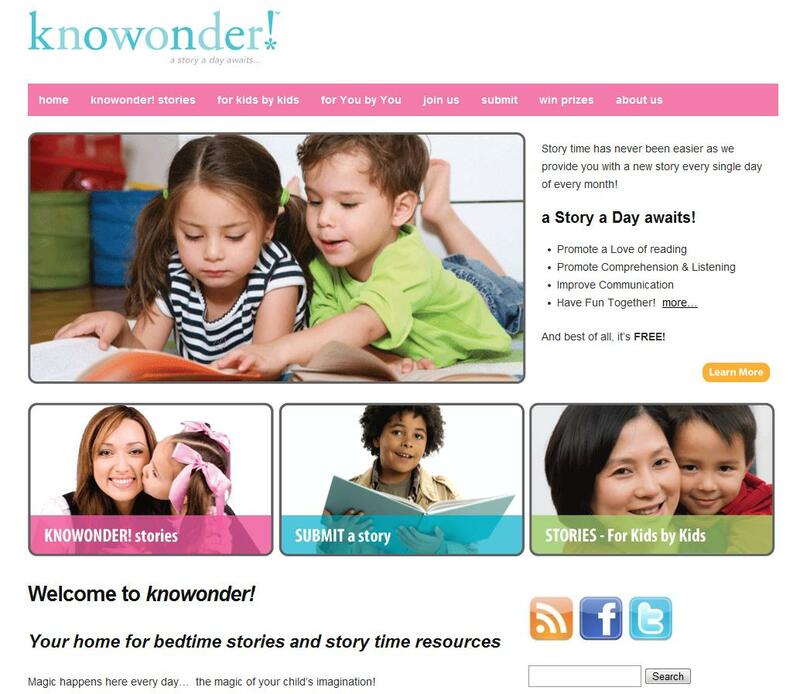 Knowonder is dedicated to promoting reading and communication involving parents and children together. Their short stories are designed to be read aloud by the parent. They are looking for exciting, eventful narratives in the third person, past tense only, between 500 and 2000 words long and aimed at children between 3 and 10 years old. A look at previous stories shows that as well as printing original work they also have extracts from Little Women and Anne of Green Gables, retellings of fairy tales and fables, and Beatrix Potter and Hans Christian Anderson stories, which should give you a clue as to the sort of style and themes they are looking for. You should read the submission information very carefully. Note above all that this is a US site so your work should make sense to American children (eg your character should not be walking along the pavement eating a jam sandwich!). They do not want stories about every day situations (such as walking along the pavement eating a jam sandwich). Stories should be action-driven and dynamic. I highly recommend writing something new for this market rather than trying to use existing material. With a new story being printed every day, there is a great opportunity to get published here. Payment is between 25 and 50 US dollars depending on length. Submit only through the form on the site. The additional information in the third section of the submission page on writers’ guidelines is well worth a read for any aspiring children’s author.